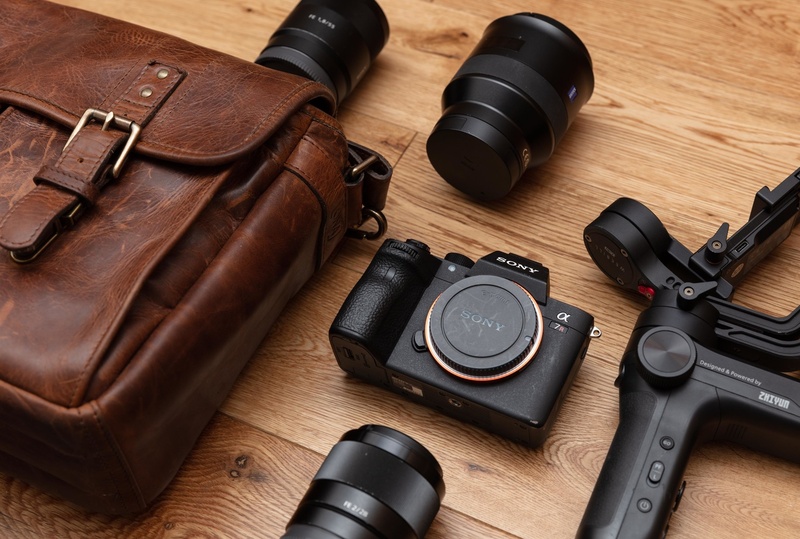 When mirrorless cameras first started gaining popularity within the industry, brands and photographers were generally discussing the weight and size advantages. This was predominantly true until larger faster aperture lenses were brought into production and the mirrorless weight advantage was supposedly debunked. Up until quite recently, I, like many others described the weight advantage of mirrorless cameras to be somewhat of a myth. When you start using lenses like the Sony FE 24-70mm f/2.8 GM, then the weight difference becomes mostly negligible. If anything, it's a disadvantage to have a tiny body and a large lens due to how front heavy the system becomes. A combination such as that is rather uncomfortable and to combat that, you need to use a battery grip; then you're back to having a large, heavy system. The alternative would be to use smaller prime lenses and this is where mirrorless holds a significant advantage over DSLR type cameras. Admittedly this subheading is a little incendiary, but in the words of Kevin Hart, let me explain. Chances are you've probably heard several companies talk about the ease of developing lenses for mirrorless cameras. The main reason for this is because of the shorter flange distance. This helps with allowing the optics to sit closer to the sensor and lenses can be more efficient in design. This is especially useful for wider-angle lenses such as the Sony FE 24mm f/1.4 GM. The ability to design efficiently means that you have the opportunity to produce extremely high-quality lenses without them needing to be huge. Another reason mirrorless lenses can be more efficient in design is that they do not necessarily require lens image stabilization. Almost all current Sony cameras offer IBIS (in-body image stabilization) to some degree. The Sony a7R III, for example, offers IBIS that's been rated up to 5.5 stops which is incredibly useful. I compared IBIS from Sony to IS from Canon and found they perform at a very similar level. The huge benefit of this is that you can have your lenses stabilized without any compromises. Optical performance is another area where many mirrorless lenses perform noticeably better than their respective DSLR counterparts. Personally, I don't think this is because they are for mirrorless cameras but probably due to new methods and technology. Essentially they're more modern lenses and modern lenses tend to perform better. There are plenty of options currently available for DSLR cameras if you need a small light lens. The most obvious choice that comes to my mind is the Canon EF 40mm f/2.8. Aside from the relatively small aperture for a prime lens, it's actually quite a good performer. Not the best prime lens I've ever used but good enough in many situations. Other than the 40mm from Canon there aren't many other practical lenses available for DSLR cameras that you can use and keep a smaller lightweight setup. Sure there are small and light prime lenses available like the EF 28mm f/1.8, however, the performance is severely lacking. Compare that to the Sony equivalent, which is the 28mm f/2.0. Sure the aperture is ever so slightly smaller, however the performance is significantly beyond that of the Canon lens. The Canon 28mm is pretty poor wide open and comparable performance can only be achieved when you stop the lens down to about f/4.0. The Sony lens is better in almost every regard and has the ability to be stabilized due to IBIS. Not only that but the Canon 28mm is more than 50 percent heavier. 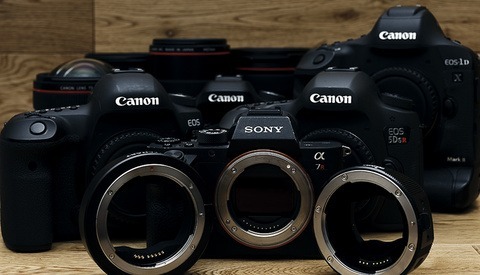 A Canon 5D Mark IV with the 28mm lens will weigh 1,110 grams which is more than 250 grams heavier than the Sony setup. This may not seem like a lot but it's actually more than what the Sony 28mm weighs individually. Another Canon alternative would be the EF 24mm f/2.8 IS. This is a lens I personally own and consider it to be a great option. Even still it's a heavier, more expensive lens and one stop slower than the Sony. Sure it has IS built into the lens, however, as mentioned above, most Sony cameras now offer IBIS which performs similarly to IS. For portraits, 85mm lenses are quite the common choice and Canon has the EF 85mm f/1.8 as their lightweight option. Unfortunately, the performance of this lens isn't anywhere near as good as the Sony FE 85mm f/1.8. Wide open it's pretty soft and has lots of visible chromatic aberrations. Once again, it's only really comparable when stopped down to about f/4.0 which defeats the purpose of having a wider aperture. The Sony lens on the other hand is superb and offers fantastic image quality, making it practical to shoot wide open. It is the more expensive option although, considering it is lighter and offers much better performance, it can be argued that it is worth the extra cost. Finally, we have midrange focal lengths like the 50mm mark. Canon has two options available, the EF 50mm f/1.4 and the EF 50mm f/1.8. Once again, performance from these two lenses aren't anything special and they are pretty soft wide open and all the way down to about f/2.8. Sony does have an entry-level FE 50mm f/1.8, although my preferred choice is the Zeiss 55mm f/1.8. Now, this lens doesn't compare well against Canon on paper because it is heavier than the EF 50mm f/1.8 and costs a lot more. The difference is that if you're happy to pay that extra amount you end up with a lens that is significantly better in almost every regard. This lens is one of my favorite lenses to use because it's relatively small and extremely capable. To get this level of quality with Canon you'd have to buy something like the Sigma 50mm f/1.4 Art lens which is significantly heavier and larger, albeit with a wider aperture. What's important to note is that even at f/2.0 the Zeiss is actually a better performer when it comes to detail compared to the Sigma. Sure the 55mm is heavier than the EF 50mm, however when you take into account the weight and size of a camera like the 5D Mark IV then the Sony system is still overall smaller and lighter. It's practical to shoot with mirrorless cameras and use smaller lighter lenses because they don't compromise on image quality. This is not true for DSLR cameras because their smaller lightweight lenses are more of an afterthought. If you want the higher-end quality then you have to upgrade to the much larger heavier lenses, which is not the case with Sony. Compare the FE 85mm to the 85mm f/1.4 GM lens and you'll notice how performance wide open is very similar. The reason why you may want to upgrade is for the wider aperture and the aperture control ring. The fantastic thing about this is that I can have three small prime lenses with me in a small messenger bag with the Zhiyun WEEBILL-LAB and produce high-quality results. With the 5D Mark IV I'd have to use much larger heavier lenses for better quality and this, in turn, would mean I'd have to use a larger gimbal and bigger backpack and so on. That slight difference in weight and size has a significant impact on the overall weight and size of your setup and the kind of accessories you will need. Sony made sure they worked hard developing high quality, small, lightweight prime lenses early on. This now means we have much more flexibility with Sony mirrorless cameras than we do with many DSLR type systems. Essentially you can have a small, lightweight setup with Sony when required but also use the much larger heavier glass when you need that little bit extra. For this reason, the weight advantage of mirrorless cameras has not been debunked. Lead image by Reinhart Julian via Unsplash. yep .. and lenses for mirrorles, at least Canon and Nikon are so heavy it pretty much makes no difference except smaller body profile ... that with heavy lens gets unballanced and you also get less comfortable system (specialy with Sony cameras). Also Z7 and D750 occupy about the same space in camera bag (~1cm larger to every size and you only care about 2 dimmensions since you are not gonna put anything on the body anyway) and weight difference is 75g (if you use FTZ adapter (135g) you accualy have more weight with Z7). I'm still on the F mount lenses, because they all still work perfectly of course. Recently I was asked by Nikon Belgium to do a presentation on my findings on working with the Z7 every day, it was funny to see faces when I presented the slide of the camera bag. Then top down shot of bag with DSLR+DSLR and DLSR+Z7 with the 16kg and 15.5kg text. Common belief being, I can travel light now I've a mirrorless. <pop> bubble burst. I know, and luckily so far, I've had no issues. And yes, try yo avoid at all costs, checked in baggage. Usually a big pelicase to carry tripods and other stuff I need on the job. (shooting jets) For long and big trips, I often send stuff ahead with DHL or UPS rather than leave it up to the airline to lose. Another gem. I guess the "Significant Weight Advantage Over DSLRs" should have an asterick sign next to it with small fine print: "Does not apply to mirrorless g master pro lenses such as 24-70/2.8 or 70-200/2.8 or 100-400mm). My bag weighs with 2 a9 and 3 lenses is pretty damn heavy. "Mirrorless Still Has a Significant Weight Advantage Over DSLRs" if you have fuji and perhaps panasonic. Not gonna lie I’m enjoying your comments lol. Your article is pretty much Canon do big lenses, and sony smaller one, slower and expensive, but betters than canon ones. If you want small primes go have a look at Pentax with their 15mm, 21mm, 31mm, 40mm, 70mm, 77mm, which are pancakes size, good quality, reasonnably priced. Although Pentax make good cameras and lenses they're highly impractical for my work. There's very little to no reason for me to consider Pentax over Sony, Canon or Fuji. They don't offer any useful video features, they don't have any tilt-shift lenses and several other reasons. Sure they make good stuff but it doesn't suit my requirements in any meaningful way. Also the lenses you mentioned have noticeably smaller apertures compared to the Sony ones I discuss. I don’t film myself I have assistants for that. Nice try with the flip out dig though. Where’s the gofund me campaign. All claims no work lol. Usman, I know you've tried TS lenses on the GFX, but have you had any luck finding a solution to adapt them to the X series? You can use a dumb adapter on the Fuji X series cameras but it's not really practical because you can't adjust the aperture unless you lock it in place via a DSLR before mounting on the Fuji camera. "I love the way the camera's work and the way they render images"
I've been tempted to try the Fringer EF–XF adapter. It's the only one I've seen that has aperture control, but it's difficult to find info on it and it's not exactly an impulse buy just to try one. Canon big, sony small. is that the gist? It's going to be interesting to see what happens with the R and Z systems with regards to lens size and weight. I wonder if the larger mount diameter will lead to possibly unnecessarily larger (and heavier) lenses which are not superior to the FE versions. - mirrorless cameras allow for shorter flange distances than DSLRs. Therefore, ML has the opportunity to be smaller, optically better, or anything in between, for shorter focal length. Taking that into account, manufacturer have prioritized weight when designing ML systems, as it is one of the key aspects where they can improve on DSLRs. DSLRs have been designed using other priorities, to benefit from the key advantages of their designs. The question is: what do you prioritize, and that is a personal question, there are no absolutes. Stop making it a war between both approaches: they are tools. They are made for a job. They are not made just for the sake of being carried around. Know what you will shoot, understand your own priorities, then pick the best tool for the job. 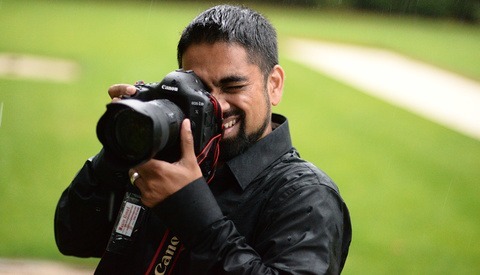 I own both DSLR and ML. Once I know what I will shoot, I know my priorities. Not once have I hestitated when choosing which one to use. 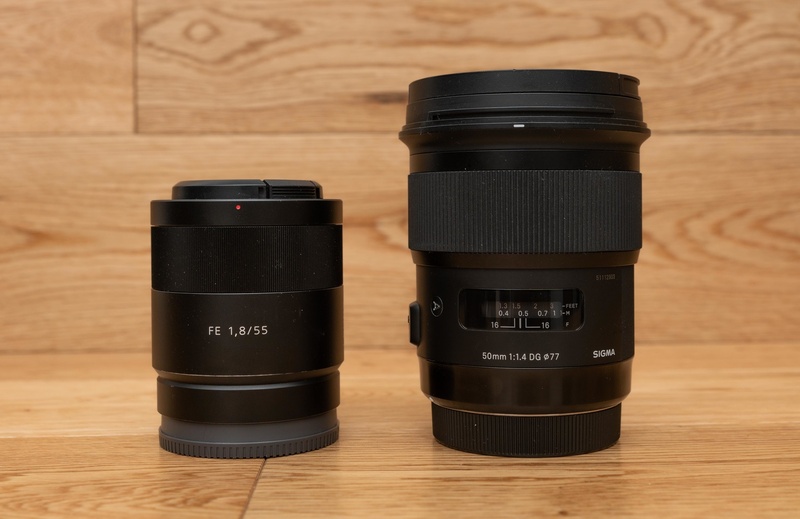 I compared small (relatively fast aperture) prime lenses from Canon to Sony. That's an apples to apples comparison. With those specific lenses you can shoot the exact same things it's not about specific job types because they both sit in the same category. What specific type of job are you thinking of that makes you think this is an apples and oranges comparison, can you provide an example? Then you should quality your headline with the caveat. Once again clickbait. Title says mirrors weight advantage article literally speaks about that advantage. Calling it click bait is a lazy and misinformed way to try and discredit the article. It isn’t apples to apples. It’s like comparing a 400bhp truck from 10 years ago to a 400bhp sports car from this year. They are not made with the same priorities in mind or the same tech. You can go to work with both, yes. You can say one goes through the bends faster... Yet the comparison is pointless. You also limited your article to a few lenses for a specific use. Try 2.8 zooms. Try long lenses. It’s not technically incorrect. It just lacks a clear point. The real problem is that I could very well write an article that is at least as technically correct and still title it “ML still has no weight advantage over DSLR”. Of course I would limit it to 2.8 zooms and exotics, and compare a D750 with a Z6 with FTZ. It’d be so easy to arrive at the opposite conclusion. See the problem? Write the same by saying: for a specific use (e.g. studio, or hiking or whatever), considering the lenses you’ll likely want, and trying to go for the utmost quality, you can go lighter with ML than DSLR, because in that case you can de prioritize some other stuff. Don’t assume that your specific use is what all people do. The thing is, I agree with many of your points and they are why I also have ML for some of my work, but I think you are capable of seriously improving what you want to say, which is that you prioritize weight for your use and ML has (and I think will keep) a weight advantage when in the precise context of your usage pattern. I’m done with this topic. If you can take a criticism and think about how it can help you do better without going defensive, good for you. You do realise the comment you downvoted above isn't replying to yours, it's replying to Yin. Also I think you're really missing the tone of my comment (that actually replies to you) and assuming that I'm being defensive when in fact I'm simply asking. Why does asking a question suddenly make me defensive or not able to take criticism? Once again I'm just asking that question my tone is very relaxed especially considering the cigar in my hand right now lol. "It’s like comparing a 400bhp truck from 10 years ago to a 400bhp sports car from this year. They are not made with the same priorities in mind or the same tech." Old small prime vs new small prime isn't a truck vs a car; your analogy is a bit silly but almost correct enough for me to comment. You've missed the point, it's a simple matter of practicalities. You can say why or how those lenses were made and why those lenses are worse in quality but the end result is the same, they perform worse. We as photographers don't benefit from the "why" in this situation. 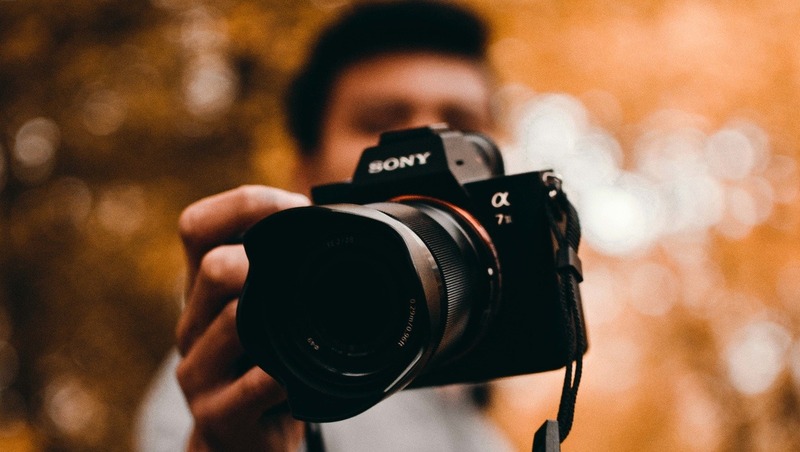 From a sheer practical point of view, you can use Sony small primes effectively whereas you can't do the same for many of the smaller primes available for DSLR cameras. 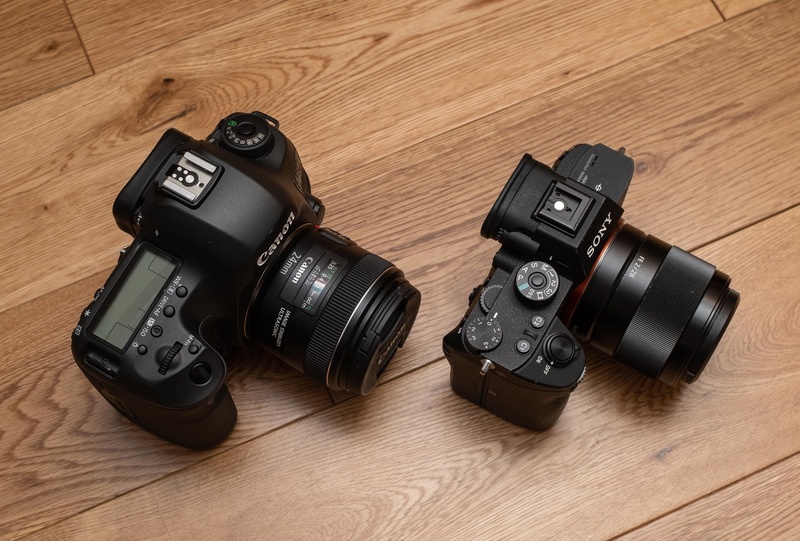 This is why there is, in fact, a weight advantage for mirrorless cameras because they developed high-quality small primes and DSLR cameras didn't. Why they didn't is irrelevant, by all practical measures. Finally, I do discuss in the article how this weight advantage isn't present for the larger lenses this is purely a discussion of the small prime lenses. You're missing the point here and getting bogged down by irrelevant details that don't impact you as a photographer from a practical perspective. That's interesting, especially as you moved down from full frame to aps_c format. I would expect the aps_c lenses to be substantially lighter than lenses for full frame, but even that has not been your experience. No, but remember that I'm talking about equivalence so you're not really giving up anything going to APS-C either (in terms of noise, FOV, subject separation, etc.). My Fuji 50-140 F2.8 is roughly comparable to my Canon 70-200 f/4L IS but is significantly smaller and lighter than the Canon 70-200 f/2.8L. 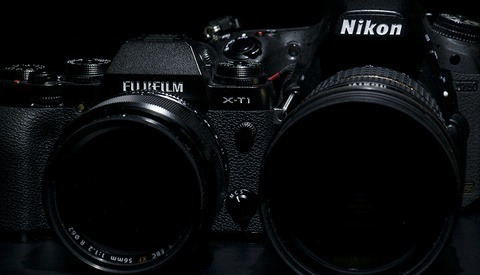 I am thinking about doing that but I am scared because I've shot full frame for SO long lol. Fuji X series cameras are incredible; aside from the battery life I highly doubt you'll be disappointed. I can't praise them enough. I have not regretted the move from Canon to Fuji and I really didn't give anything up in terms of sensor performance either. Of course, I couldn't say that had I moved over from Nikon or Sony.